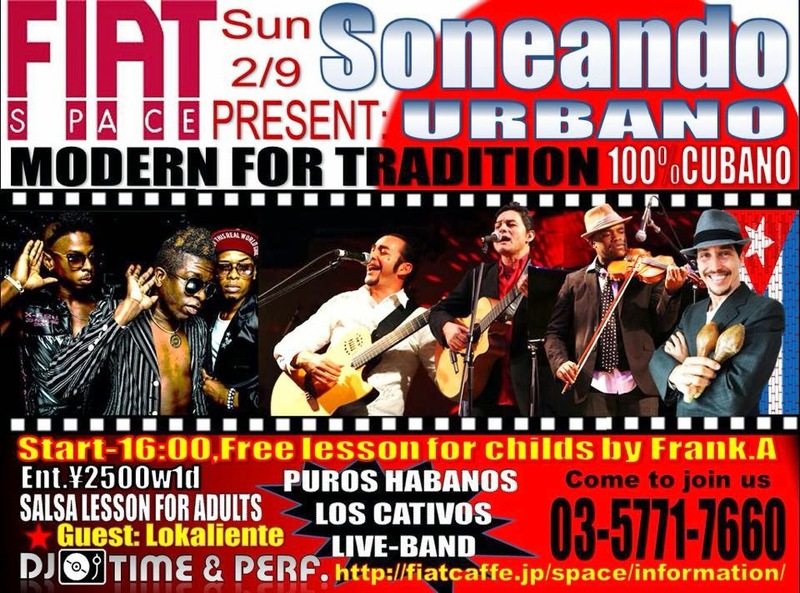 Modern & Tradicional Music to Dance Event presented by Cubans Musicians Vocalist and Dancers in Tokyo,with the Special Japanese Dance Guest Perf. Charge:¥2500w1d including child entrance for free. The Musical band , led by guitarist - singer-songwriter Alexander LP , was founded 2007 and since that date carries the better performing in theaters in Tokyo City : Sumida Hall, Asahi Hall, Shibuya Duo , Studio Coast, and etc. .. have performed concerts for japan personalities like Princess Takamado and Princess Hitachi of the Imperial Family, Kantoku Nagashima , Junko Koshino .. etc . His great musical variety in genres ranging from interpreting traditional Cuban rhythms to : Bossa , Jazz , soul , Cumbia , Bachata , Latin Pop, Funky , Rumba, Bolero , Cha -cha- cha , Latin Jazz makes this band has a one and only sound in the land of the Rising sun. The voices of great singers , percussion and classic sound of a violin that is harmonized with guitars complement this band and make it a gem within the Japanese society. Popular hotels in Tokyo: Mandarin Oriental , Shangri -La, Tokyo Prince, Grand Hyat have witnessed the great performance that leads to the magical world of international Tropical music . They are currently every Thursday in the ANA INTERCONTINENTAL HOTEL, Akasaka, Tokyo .